If you have a moderate-sized kitchen, you may already have an island. Additional seating can make your kitchen island more than a work area. It also makes it a nice breakfast nook, or a place where your kids can sit as you give cooking lessons. They may be too young to handle all kitchen tasks, but you can teach them how to make simpler foods like bread and cookies under your close supervision. The seating puts the countertop within easy reach. Alternatively, your kitchen remodeling expert can help you design a countertop with varying heights. It allows more mobility for you and your kids, and can even be used as child seating instead of a high chair. But the real bonus is that you don’t have to have your island or countertop rebuilt when they grow up. Low countertops are great for handling a stock pot (or something as tall), as well as for kneading dough. You can buy childproofing accessories for your kitchen cabinets, such as locks for the knife drawers, silicon bumpers for the corners, or a small step stool with a stable base. If your kitchen remodeling project includes redesigning the cabinets, consider adding slow-close hinges to avoid accidents involving pinched fingers. Kids learn to identify things by sight, and that applies to ingredients. An open shelf with clearly labeled ingredients can help your kids easily identify staples such as sugar, flour and rice. It can also be a teaching opportunity for how to handle breakable containers. This can extend to your pot and pan cabinets, either by keeping them open or choosing glass cabinet doors. Keep in mind that you will have to keep everything organized, otherwise you could end up with a messy-looking kitchen. 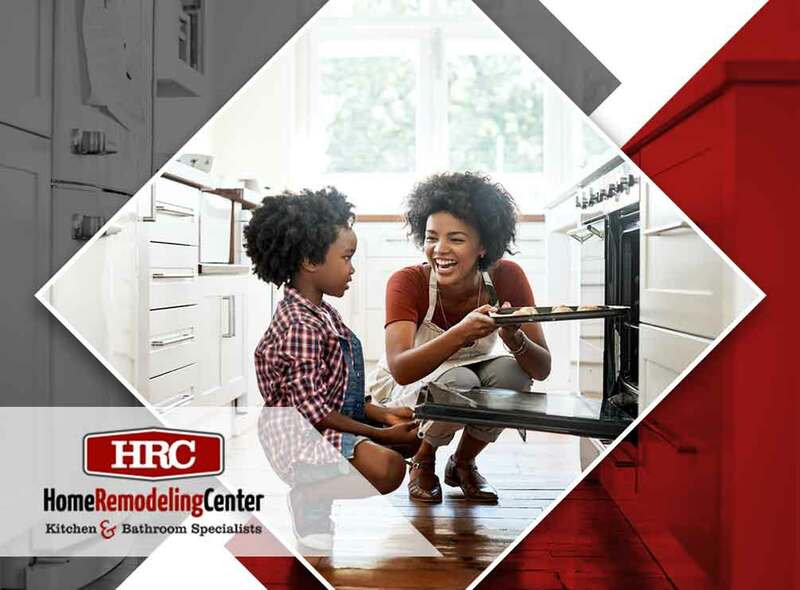 For more family-friendly kitchen remodeling tips, call Home Remodeling Center today at (760) 410-6005. You can also fill out our contact form to schedule a free estimate. We serve many areas in San Diego, Carlsbad and Rancho Bernardo, CA.